Hello, is Anyone going to make a Karthography of "Rollergames" ? I tried Stage 1 but it take me Hours and still not finish yet. Using "Autostitcher" does not work because of the black Borderlines at the Left/Right Screensides when the game is scrolling. Room in the Stages (not the Highway Parts) then you can reach, like in the Jungle Level when you try to jump far in the River. Or Stage 1 when you fall in one of the Pits and can see Rooftops at the Bottom of the Screen. Screenshot Autostitcher has options to crop the screenshots. And, anyone interested to map this game? 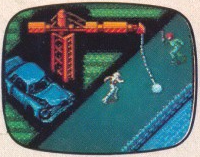 It has something interessting to find out about its map´s seem to overlap on the borders, like the "Gremlins 2" stage 3-2. 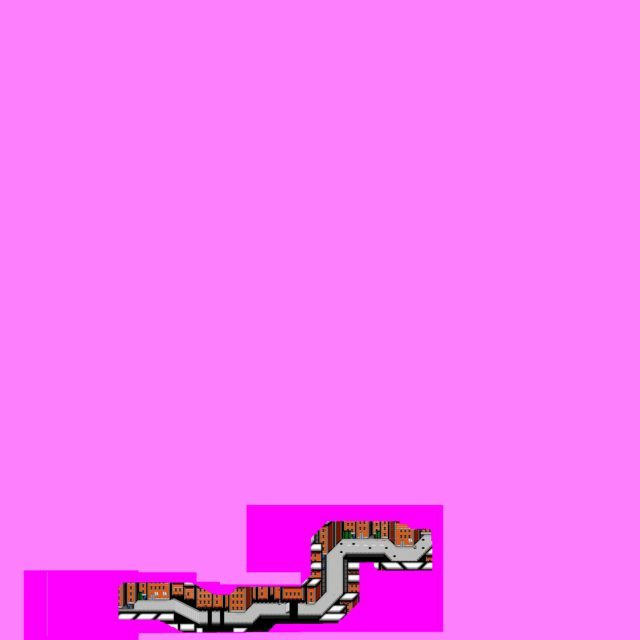 In mid "Rollergames" Stage 1-1 on the upper-left, where your path turns right coming from down, you can see parts of Stage 1-2 (street) in Stage 1-1 with then swaps the colour palette in Stage 1-2. The Levels seem to be cut to parts, for better memory performance i think. You can see the Part from 2-2 on top left at the right part of this pic. It would be good to create the complete Stage 1 (with 1-1 and 1-2 laying one to other at this Part from 2-2 that we can see a little in 1-1). And adding the Intro and Cutscenes to each map would be god because this was one of the highlights of the game to get to see them, back in 1991/92 if i remember right . EDIT 2018.07.14; I noticed that the Gutter glimpse we see on the top left in Stage 1-1 is not from Stage 1-2 (i wrote 2-2 before, my error), but is is from the second half of 1-1. The Stage seems to be cut in two parts at the Battle screen in the middle where the enemy come out of the door. Here the scrolling is stoping for the fight. And when done it is like you are teleported above the Stage start point to go on in the second half in 1-1. Putting the Map together as usual for VG-Maps and then another version cut in half and overlapping at the described Gutter Point (also some Houses and Rooftops will fit) will show us where the second start in the 1-1 is acurately located. 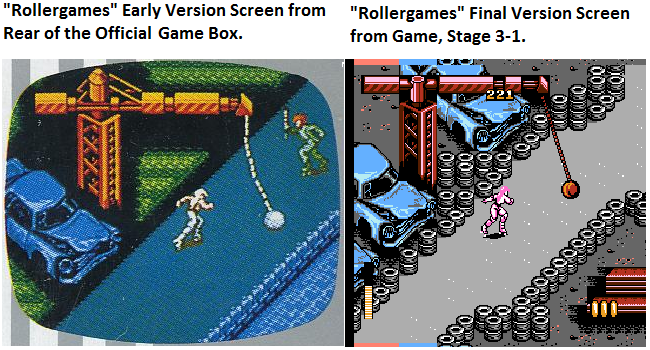 From the Game Box Back (early Junkyard stage+some Jungle stage maybe) and for comparsion from final game, Junkyard stage. Is something left in the Game from the previous design? Any Konami employee reading here, has more Info/Pictures of the Beta? Who can find out?